Do it for the pollinators! In late winter, expectant gardeners look to the canopy of their trees for signs of spring. At first glance, they may see only an unremarkable collection of bare branches. Closer examination reveals a miniature forest of lichens growing on branches and the trunks of their trees. 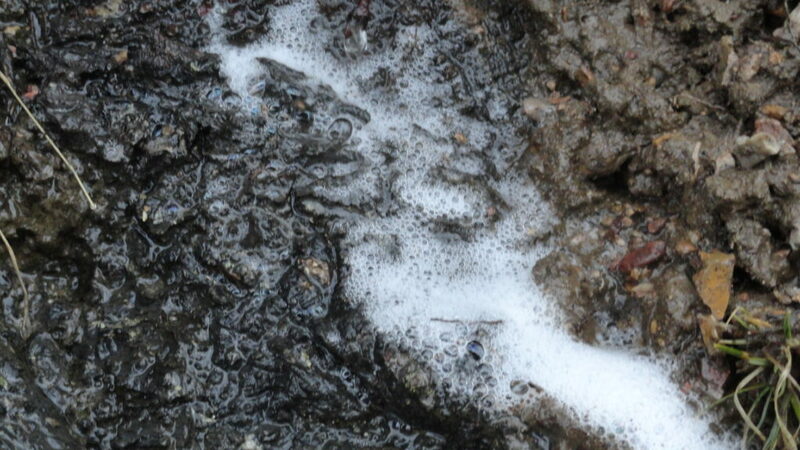 Once aware of the presence of lichens, gardeners may exhibit a wide range of responses, from disinterest to active fear. Unfamiliar with lichens, and assuming there’s a problem, they’ll panic and call in landscape “experts” (often equally unfamiliar with lichens) whose recommendations and actions can be harmful to lichens. [Or worse, the author is aware of a tree company in Long Island, NY, that actually offers a service to scrub lichens from trees with wire brushes and disinfectants!] This article will briefly describe lichens and their role in nature, in an attempt to clear up misconceptions and allow readers to look upon these wee green life-forms with appreciation and wonder. An individual lichen is not a single organism, but a symbiotic partnership of up to three different organisms: a mycobiont fungi with a photobiont of cyanobacteria (type of photosynthetic bacteria, earth’s oldest known life form) and/or algae. For a sweet analogy, think of the body of a lichen as a Reese’s Peanut Butter Cup. The chocolate layers represent the mycobiont (fungus) enclosing the creamy peanut butter filling, the photobiont (cyanobacteria and/or algae). Cross-section depiction of a the body (thallus) of lichen. 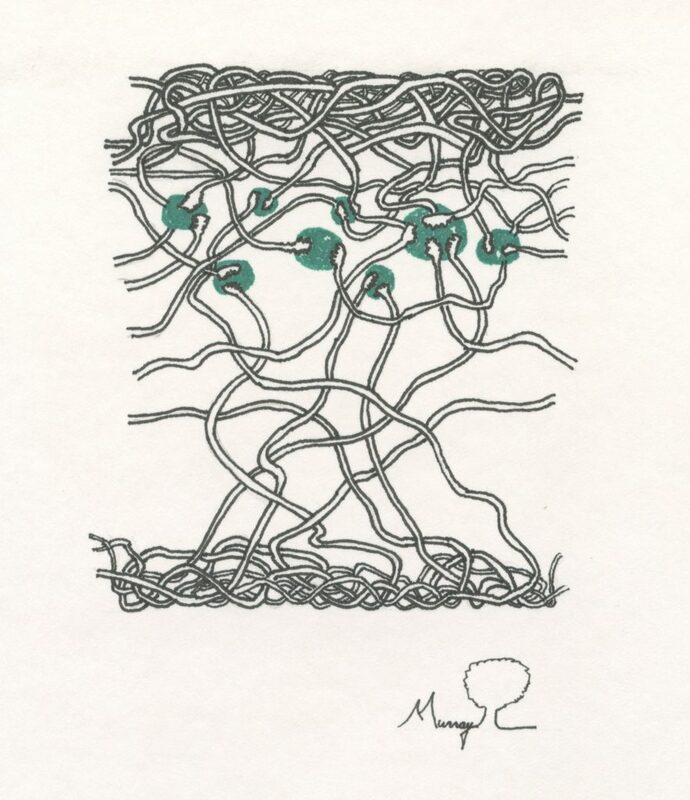 Fungal hyphal strands weave a protective web above and below the photosynthetic organisms. Drawing by J. Murray. On the spectrum of symbiotic relationships, lichen’s partnership of mycobiont and photobiont(s) falls somewhere between parasitism (one partner benefits while the other is harmed) and mutualism (both partners benefit). The mycobiont may receive up to 90% of the sugars produced, leaving just 10% for the photobiont. This lopsided partnership more closely resembles controlled parasitism. Depending upon the particular mycobiont, lichen may assume one of three common forms: crustose, very small bodies appearing to have been spray painted onto a surface (substrate); foliose, a small leaf-like structure pressed against the substrate; or fruticose, thallus is rolled-up into a three-dimensional form. Lichenologists have been perplexed how to classify and determine the evolutionary origins of lichens because a lichen is a partnership between two and three organisms. Although lichens are named with respect to the mycobioint, the fungi in its lichenized form is significantly different in appearance and function than its non-lichenized form. For example, one species of fungus existing in a lichenized form above ground may be named by lichenologists. When this same fungus is in its non-lichenized form below ground, it’s provided a different name by mycologists. Other than the fungi’s form, the only thing that has changed is that above ground it formed a lichen partnership with a photobiont (cyanobacteria and/or algae), while below ground it may have formed a mycorrhizal partnership with a different photobiont, the tree’s roots! Up to 30,000 species of lichens grow just about everywhere on Earth – from the top of the tallest mountains to bare rocks in the desert. Although lichens have survived, unprotected, for 15 days in the vacuum of space, they have proven to be very difficult to transplant to different locations and even harder to culture in laboratory settings. 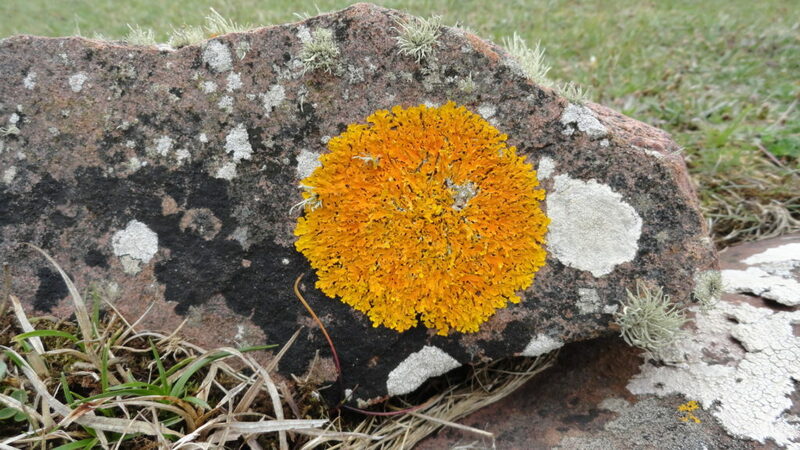 Lichen species are very selective upon which surface, or substrate, they’ll grow, though lichens obtain little to no nutrients from their substrate. Lichens are grouped based upon the substrates upon which they grow, the three most common: terricolous (bare soil), saxicolous (rock), and corticolous (tree bark). By now, it should be apparent to the reader, corticolous lichens do not harm trees by their superficial existence on the surface of bark, as lichens obtain the majority of their moisture and mineral nutrients directly from the air by absorption. The presence and health of lichens in an area serve as an indicator of air quality because the absorptive tissues of the lichen are laid bare to the environment. Lichen metabolism is dependent upon available moisture. When dormant, lichens appear dull in color and their tissues, dry and brittle. Unlike a plant’s leaf, lichens do not have a waxy cuticle to help store water in tissues nor roots to absorb water from their substrates. When actively photosynthesizing, lichens appear more vibrant in color and feel soft. For our area, the best times to observe lichens actively growing are in the fall, spring, rainy periods in the summer, and warm periods in the winter. Lichens have played a significant role in shaping Earth’s terrestrial environments. Soon after the appearance of lichens 400 million years ago, they set about the task of soil formation, breaking down rock 25 – 100 times faster than physical and chemical weathering. Terricolous lichens nurture soil by adding organic matter and protecting the soil from erosion, compaction, drying, and temperature extremes. With other photosynthetic organisms, lichens helped influence the atmosphere through photosynthesis (sequestering carbon dioxide and producing oxygen). Lichens are intimately linked with other organisms in their ecosystems. Lichens provide food, shelter, nesting material and camouflage for many organisms. Lichens are an important food source for slugs, snails, terrestrial arthropods (mites, springtails, and silverfish), mountain goats, moose, deer, and squirrels, making up to 90% of the winter diet for reindeer and caribou. A recent study into declining populations of migratory birds established a link between declining populations of arthropods and short-sighted forestry practices negatively impacting the establishment of lichen. Sensitivity to air pollutants enable lichens to serve as bio-monitors for air quality, an inexpensive alternative to high-tech pollution monitoring equipment used by the US Forest Service and the National Park Service. Lichen samples can also be harvested in areas of concern and submitted to laboratories for identification and analyses of specific air pollutants like metals, PCBs, ozone, fluorides, sulphuric and nitric acids and even radioactivity. Lichens, like many other organisms, are closely associated with trees. In addition to involvement with other tree “associates,” lichens directly interact with trees. One interaction, in particular, should interest gardeners – the ability of some species of lichens to “fertilize” trees. 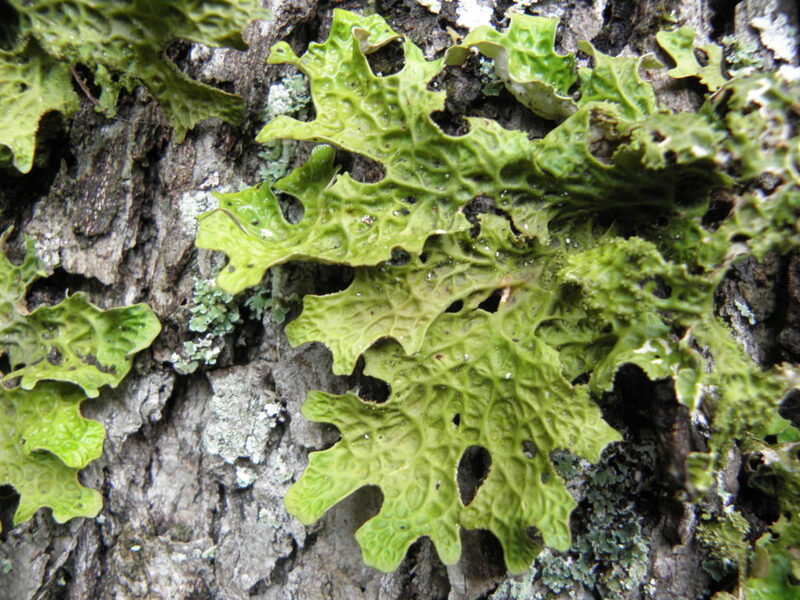 Lichens with cyanobacteria photobionts, like Lobaria pulmonaria, perform nitrogen-fixation (convert nitrogen from the atmosphere into a form that plants can use). During a rain event, a nutrient-rich solution leaches from the lichen, travels down the trunk, and is absorbed by the tree’s roots. Nitrogen-fixing lichens, like L. pulmonaria, maycontribute up to 50% of the total nitrogen input for old growth trees in conifer forests in the Pacific Northwest. Following a rain event, nutrient-rich solution from the leaches of lichen in the crown of the tree traveling down to be absorbed by the tree roots. Image by J. Murray. Lobaria pulmonaria located at the base of two white oak trees along Muddy Run Road, approximately 7 miles northwest of route 220, in the George Washington National Forest. Image by J. Murray. Lobaria pulmonaria. Image by J. Murray. How can I support lichens in my landscape? The next time you gaze up to your trees in hope of seeing signs of spring, take a moment to enjoy the lichens. Let their presence remind you of the interconnectedness lichens bring to your landscape ecosystem. Appreciate the “wildness” of lichens, that they can neither be transplanted nor forced to grow. Acknowledge their free spirit by allowing wildness to return to your landscape. Avoid practices that exert “control” and tend to remove wildness from your property (pesticides, fertilizers, excessive pruning, large expanses of lawn). Strive to increase your plant diversity on your property. 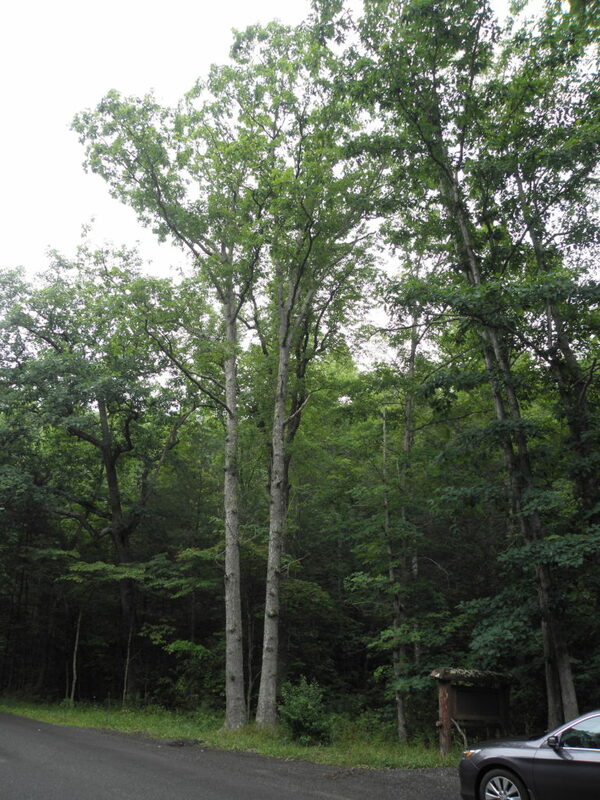 Replace the turf below the tree’s canopy with a simulated forest floor. Leave branches and leaves under the tree to promote a habitat to support the diversity of microorganisms, above and below ground. In addition to Anne and Joe, this site is managed by an odd collection of gnomes and faeries. Our website development meetings go about as well as you can imagine.